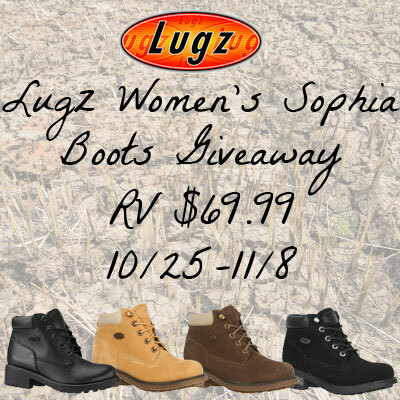 Lugz boots have always been so durable and now the fashion side of them is turning out to be very much in demand. I love that they keep your feet warm and they look fantastic all at the same time! Be sure to enter this one! I like the brown, but the black might be better for me. i like the walnut cream thank you!! I like the black durabrush ones. Sophia Wheat/Cream/Gum, I LOVE those!! I think I would choose the Sophia Black / Durabrush upper if I were to win.